Are you having difficulty eliminating a “trouble spot”? Many women struggle with a few extra pounds around the stomach, hips, thighs, arms and flanks even when they follow a strict diet and exercise routine. However, you may not want to undergo an invasive surgical procedure like liposuction to remove those stubborn pockets of fat. Fortunately, at Dermatology & Laser of Del Mar we have solutions. UltraShape® treatments, which can provide safe, effective, and—most importantly—painless fat removal with no downtime are now available. UltraShape® has been used in Europe for almost a decade, but this innovative technology is newly FDA-approved in the United States. Using ultrasound waves, the handheld device delivers focused energy into the treated area, breaking down fat cells with vibrations while leaving the surrounding tissue unharmed. Furthermore, the unique, non-thermal approach means you shouldn’t feel any pain or discomfort, and downtime is almost non-existent. You may experience some swelling after treatment, but this effect should fade within a few hours. In fact, you should have no problem returning to normal activities directly following the procedure. 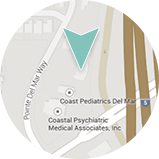 During your initial consultation, our staff will assist you in developing a customized treatment plan that will address your areas of concern. 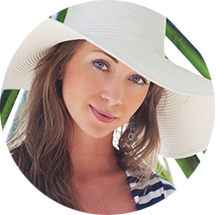 In most cases, you will require up to three sessions of UltraShape® therapy, though this will depend on your unique anatomic needs and cosmetic goals. You should begin to see improvement in the treated region after about two weeks with full visible results available approximately two or three weeks after your final session. If you have additional questions about UltraShape or wish to schedule a consultation to learn if UltraShape is right for you, please contact us today.